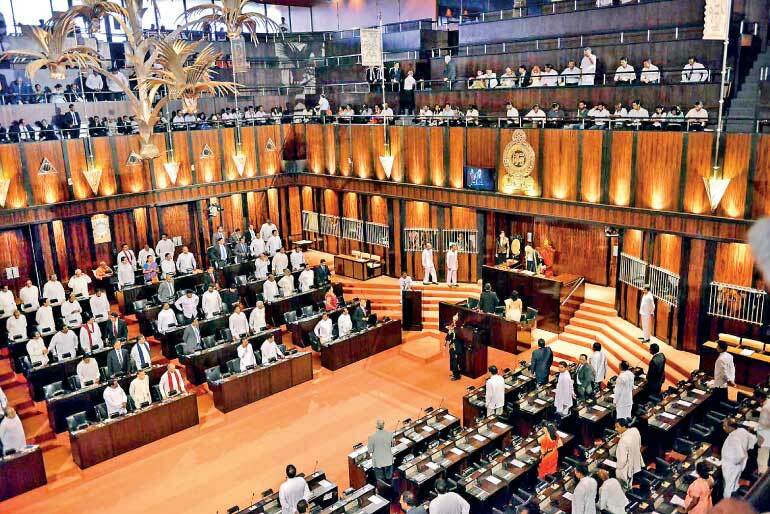 Sri Lanka is a private sector economy. There is the big business sector, a raft of small and medium sized businesses, and the huge people’s private sector which encompasses agriculture, fisheries, a large array of small businesses, traders, and the retail sector. It is this vast private sector that creates growth. The best strategy to generate growth is to just let it roll. This is another name for a laissez faire economic strategy, which is defined as a policy that opposes regulation or interference by the Government in economic affairs beyond the minimum necessary and allows the private sector free enterprise system to operate according to its own conventions. Just let it roll supported with an availability of capital is the best formula for our economic growth. Are there any better strategies to generate growth? Can we leave it to members of Parliament to create growth? Can we depend on ministers to create growth? To what extent can a government create growth? Are there any socioeconomic models which if adopted will deliver growth? My view is that none will do better than to just let it roll. A little dip in the shallow end of economics to get the concept of growth into some sort of perspective. GDP which stands for Gross Domestic Product is used to measure economic growth. If there is no growth in GDP to put it quite simply, there is no growth. The famous Prof. Pigou said a long time ago that economics is simply common sense and that theoretical economics is common sense made difficult! It is good to follow the common sense route and look a bit more closely at GDP. GDP is the sum total of all expenditure. What one person spends is income to someone else. So, GDP is also the sum total of all income. And therefore total Income will be equal to total expenditure. Income is created when something is produced, and therefore another way of saying it, is that GDP is the market value of goods and services produced within an economy in any given period. Growth is an increase in the total value of goods and services produced (at constant prices).To achieve this there has to be an increase in the means of production that will produce the higher volume of goods and services. This requires investment. No investment means no growth. If 100 is given in salary increases it has a multiple impact. If people spend 90% and save 10% of the increase in salaries, then 10 will be saved and 90 spent, which becomes income to someone else. That person saves nine and spends 81 which becomes income to someone else, and it goes on like that. The 100 salary increase will increase total income by 1,000! An increase in income does not mean that there is economic growth. If there were only 10 mangoes and 10 coconuts, the salary increase will not increase the output of mangoes or coconuts in the short term. What will happen is that the price of mangoes and coconuts will increase. Can a Member of Parliament create growth? The answer is no! His forte is to make noise in and out of Parliament, but he cannot create or make any investment happen that will lead to growth. He has no access to funds to make investments. Can a minister create growth? If the capital budget has a provision for investment in a project in his ministry, he can supervise the implementation of that project. That is the closest he can get to generating growth in GDP. Can the Government generate growth? Yes to the extent of projects in the annual capital budget. They will all be infrastructure projects. If the Government builds bridge or a road, it is a mere facilitator to the private sector. Any increase in economic activity that will lead to a growth in GDP, due to the bridge or road, will have to be from the private sector. But the Government cannot make the private sector invest in any new activity so that the road or bridge will lead to a growth in GDP. At regular intervals we have heard Governments say that they will create an inflow of many billions of foreign investment. This is a dream! The Government cannot create any inflow of foreign investment by itself. A foreign investor will invest only and only if he sees a commercial opportunity to make money by investing in Sri Lanka. They will not come because the Prime Minister is a nice person, or because we have a very good human rights record. A cursory review of the flow of foreign investment around the world indicates that money flows where there is an opportunity to make a good buck and those others considerations do not really matter. Investments have gone into oil, gas, and minerals where those things like a nice prime minister and excellent human rights were boxes that could not be ticked. There is only one area where the Government can bring in investments due to its own efforts and that is to bring in politically-motivated investments on a government to government deal. The Chinese invest because they want to secure the Silk Route to be able to bring oil to China. Any commercial consideration is very secondary. The most potent strategy is for the private sector to scope opportunities for investment and to then go out into the world and identify those that will be interested and “sell” the project and bring in foreign investment in collaborative joint venture projects. Any theoretical models for generating growth? When the Marxist combine of LSSP and the Communist Party crept under Mrs. B’s sari pota and formed a coalition government we had a large dose of the Marxist prescription for delivering growth. It was a Russian, Marx Lenin model, to destroy the private sector and create a society where the means of production were owned by the State and the wealth of the rich was confiscated. This model was a complete disaster and the economy went into a tailspin of decline. The Marxists were kicked into touch and they disappeared into oblivion. From all the angles that one can evaluate to generate growth, the conclusion is the same. The only road to growth is through the private sector. The imperative that flows from this conclusion is to unleash the private sector and just let it roll. To do that the major road block of controls must be removed. Sri Lanka is riddled with controls. For most economic activity approval is required under the provisions of one act or the other. All these acts were drafted by clever people with the good intention of protecting the assets of Sri Lanka. So we have acts to protect the coast, forests, low-lying areas, antiquities, wildlife, coconut, the environment, etc. Some building activity is a component of most development activities. The multitude of approvals required makes it seem as if constructing a building is a crime and should be prevented. Clever people drafted these Acts but sadly we do not have clever people to implement them. Prof. Alatas who has made a study of corruption once said that if developing countries want to have controls they should also let corruption prevail as that is the only thing that will turn the wheels of bureaucracy and if you do not have corruption it will all grind to a halt. The fear to make a decision (and at times also the desire to make some money) makes getting approvals a tortuous process. This is the devil that strangles economic activity. c) Move to a system of self-regulation. The requirements for approval under each act should be set out in a form. If the applicant can tick all the boxes it should be automatic approval without any official intervention. Obtaining a passport has worked successfully on this basis. It is fill the form and get the passport. There is no human interaction. Building plans drawn up by qualified architects should have auto approval, etc. We must move to a comprehensive scheme of self-regulation. There will have to be checks and balances, but they should be implemented through the private sector under the sponsorship of chambers of commerce. It is the availability of capital and the private sector harnessing this capital that will lead to growth. One radical step is to remove controls. We all know that there is a large volume of black money. Through whatever means it has happened. There is vast pool of capital which creeps in slowly through various schemes of money laundering. What we require is to get this capital to come in like a flood in torrents and to work for the growth of the country. The answer is an amnesty. Declare, pay 15%, no questions asked. Then it is no longer black and is as white as snow and will be a great impetus to growth. The ideas expressed in this article are not new or radical or revolutionary. They are old hat! The laissez faire economic philosophy is an old economic theory. It is appropriate for Sri Lanka now. Allow the free enterprise private sector system operate. Let it roll. To remove controls and to get the black money to work for us is just common sense. What we need is to get our politicians to exercise their common sense and to just let it roll.